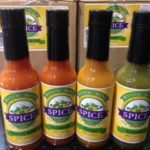 Magic Pepper Sauce – Chef Paul’s unique blend of fully ripened red cayenne and habanero peppers is a hot seller. It enhances food with flavor, not just heat. It’s only natural that the most zesty pepper sauce would come from America’s favorite chef. 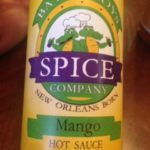 A Pure Cajun Products favorite…Highly recommended! Be the first to review “Magic Pepper Sauce” Click here to cancel reply.